Any hopes that Lee Jasper might have had that his former boss, Ken Livingstone, would back his campaign for election to parliament as the Respect candidate in Croydon North look set to be dashed on Wednesday morning. Livingstone, the former London Mayor who hired Jasper as his adviser on race matters when at City Hall, is due to be out on the streets of Croydon, campaigning with Labour party candidate Steve Reed. And to rub salt into those wounds of rejection, Jasper has to contend with Livingstone issuing a statement which is entirely “on message”. Livingstone has had the “two-horse race” party line attributed to him, as already used by senior Labour figures to characterise the Croydon North campaign since Jasper and George Galloway announced Respect’s bid. The dismissal clearly had some sting for Galloway at his party’s campaign launch at the weekend. In advance of his latest visit, Livingstone said, “The Croydon North by-election is a two-horse race,” there, see what we mean?, “between Labour’s Steve Reed and the Conservative candidate. Labour’s other election fear, of failing to deliver a suitably stunning majority because of a low turn-out from complacent supporters, or just because of miserable November weather, was also reflected in Livingstone’s statement. “We want the biggest possible Labour vote in Croydon North to honour the memory of Malcolm Wicks,” Livingstone said. Wicks, the MP for the area for 20 years, died in September. In 2010, he retained the seat with a 16,000 majority. Livingstone says that Labour needs a dominating winning margin “to send a loud message to Cameron and his Croydon Conservatives that their cuts are too far and too fast”. 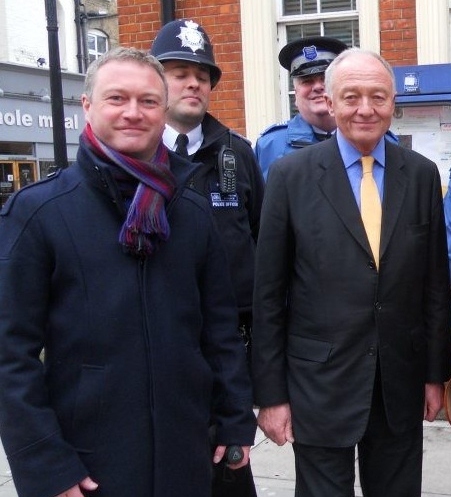 Livingstone, despite his own strong connections to Lambeth Council from the start of his political career, is something of an unlikely supporter for Reed, the Brixton Hill councillor who is from the Blairite wing of the party. Livingstone was expelled from the Labour party by then Prime Minister Tony Blair for daring to stand as an independent candidate at the first London Mayoral elections in 2000, which he duly won. The strategy of dismissing challenges from outside the mainstream – as Labour appear to be doing with Respect in Croydon North – looks to have been plucked from the well-thumbed page 94 of the Malcolm Tucker political playbook. Click here to see a post from a Lambeth Green party blog which suggests a similar tactic is being employed in Reed’s own ward of Brixton Hill. Labour, of course, has no record of under-estimating the opponents, as the recent by-election at Bradford West demonstrates. Not. This entry was posted in 2012 by-election, Croydon North, Ken Livingstone, Lee Jasper, Malcolm Wicks MP, Steve Reed MP and tagged Croydon, Croydon North, Ken Livingstone, Labour, Lee Jasper, London, Steve Reed MP, Tony Blair. Bookmark the permalink.